The aftermath of winter can be a scary thing. The aftermath of winter can be a scary thing. Torn up lawns, flattened shrubbery, broken tree limbs, all revealed when the snow finally melts away. 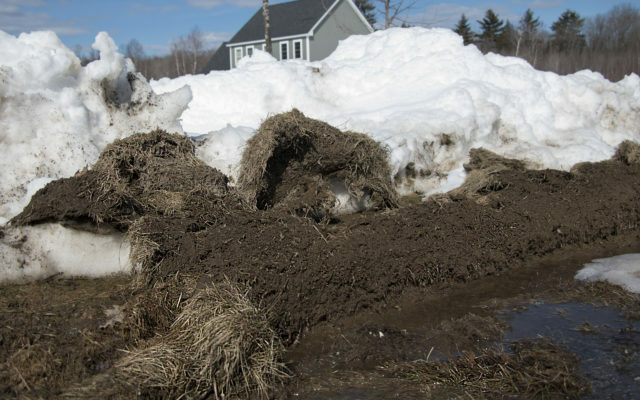 A number of Maine landscapers, from Aroostook County and parts south, weighed in on how to remove winter’s grimy aftermath. Plows trying to clean up roads and driveways inevitably tore up muddy lawns in the process. And let’s not forget earlier this winter, when we weathered that ice storm, then a wind storm, then bouts of rain. The season has taken its toll. One option is to call a professional. Each spring, landscaping companies get a rush of business from people who want their lawns fixed quickly and correctly. Yet plenty of Mainers would rather save their money, roll up their sleeves and take matters into their own hands. After all, lawn work can be therapeutic. Right? Bring in loam, grass seed and fertilizer to fix up your lawn. “Sometimes if the grass that is plowed up is a big chunk you might be able to save it, but most of the time it’s 20 feet away from where it’s supposed to be and it’s not really salvageable,” said Randall. After seeding the loam, Randall’s company usually covers the area with Mainely Mulch, which is pre-chopped hay and straw stubble that contains virtually no noxious weed or crop seed. It decomposes quickly so you don’t have to rake it away after the grass has grown up. Watch out for snow mold. Snow mold can affect grass in areas that are covered with snow for an extended period of time, such as the grass under a snow banks. “You can actually see it if you look across a lawn. It will have a pink or gray hue to it,” said Bruce Daigle, owner of Daigle Property Management in Presque Isle. Turf areas damaged and thinned by snow mold can be repaired by raking and overseeding as soon as possible in the spring, and that’s just what Daigle does. Fertilizing can also help repair the damaged area. A fungicide may also be needed, according to information provided by the University of Illinois Extension. Clean up branches, road gravel and other debris as early as possible. “Get debris off your lawn so it has time to dry up so your lawn can actually grow, so you get sunlight in and you don’t get mold,” Randall said. And it’s easier to debris off your yard before grass starts to grow, Daigle pointed out. So as soon as the ground dries enough for easy walking, get out there with your wheelbarrow. Turn debris into something useful. Matted leaves, dead grass, shriveled weeds and the pumpkins from last Halloween — all of this yard debris is great for a compost pile, and when it all breaks down, you can use it to improve the health of soil on your property. “We mix it with our loam and put it in our flower beds,” said Daigle. Avoid using salt on your driveway and walkway if possible. If you notice areas of dead plants and grass, test the soil. In Maine, one option is to get a Maine Soil Testing Service container and information form from and your University of Maine Cooperative Extension county office, or from the Maine Soil Testing Lab at 207-581-3591. This test will tell you the soil’s acidity and levels of essential soil nutrients and checks for lead contamination. If your lawn is looking unhealthy, consider investing in a lawn fertilization program, a grub prevention program or dethatching (using a special machine called a dethatcher to rake out dead brown blades of grass). “That has made a huge difference in the lawns I take care of,” said Randall, who doesn’t offer these services himself but often suggests them to his clients. To learn more about lawn fertilizer, biological grub control, dethatching and other methods of keeping your lawn healthy, check out the UMaine Cooperative Extension bulletin on the topic at https://extension.umaine.edu/publications/2166e/.